The Arts & Crafts Movement was an aesthetic and philosophical crusade that rose up in response to the Machine Age and the mass production that was emerging in the latter half of the 19th century—techniques that ignored both the skilled hands of a craftsman and the natural beauty of the materials used. 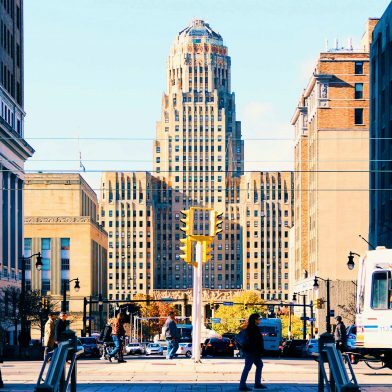 The movement began in Europe and as it spread to America, Buffalo emerged as its epicenter. Among the leaders of this cultural vanguard was Elbert Hubbard, founder of the Roycroft community in nearby East Aurora and considered the father of the American Arts and Crafts Movement. Hubbard had been a partner in the Larkin Soap Company of Buffalo when he decided to strike out on his own and pursue a career as a writer. While traveling in England he visited the home of William Morris, the visionary behind the Arts & Crafts Movement. Inspired by Morris, Hubbard returned to East Aurora and founded what is now known as the Roycroft Press. He then wrote a motivational piece on initiative and devotion to duty that would catapult him to international fame, The Message to Garcia. 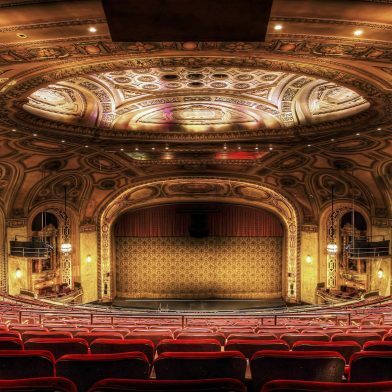 Armed with a burgeoning reputation and a considerable fortune, Hubbard began recruiting the country’s finest craftsmen, seeking out printers, book designers, painters, sculptors, furniture makers, metalsmiths, photographers, potters, leatherworkers and writers. 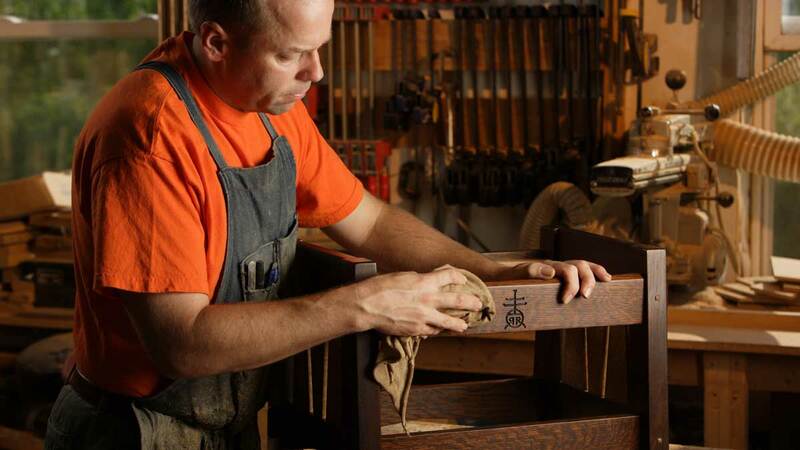 And thus, Roycroft was born, forging the foundation of Arts & Crafts in America. 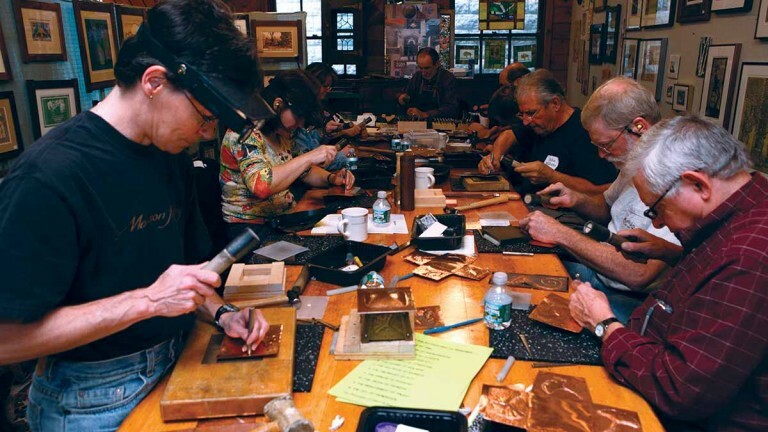 The Roycroft Campus became a celebrated artist’s community employing as many as 500 artisans focused on a philosophical approach to craftsmanship. Taken from a quote by John Ruskin, their creed focused around “a belief in working with the head, hand and heart and mixing enough play with the work so that every task is pleasurable and makes for health and happiness.” The Roycroft Inn was built between 1903 and 1905 to house the many visitors who came to East Aurora to see the work of this acclaimed collective and pay homage to Hubbard. In a tragic, yet historically significant sidenote, Hubbard and his wife, Alice Moore Hubbard, died in the sinking of Lusitania, when it was torpedoed by a German U-boat off the coast of Ireland in 1915. 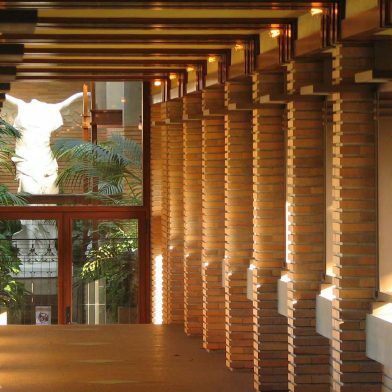 The Elbert Hubbard Roycroft Museum is a must-see for anyone interested in his legacy. Today the Roycroft Campus is a National Historic Landmark and is in the process of being restored to the conditions of the late 19th century. 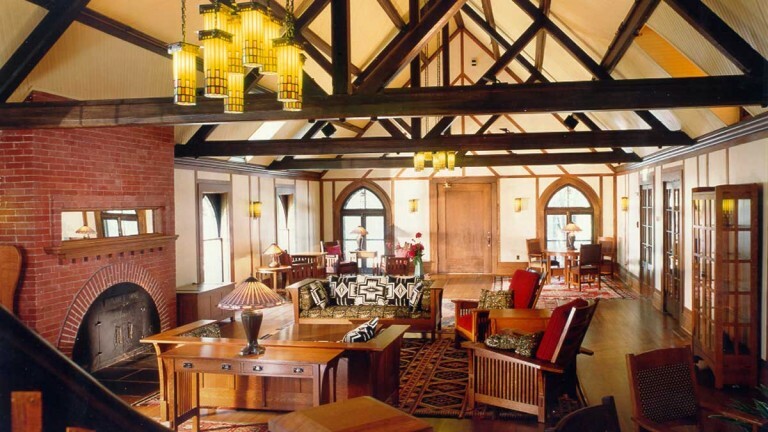 Visitors can tour the campus, take classes or stay in the elegantly restored Roycroft Inn and imagine what it was like to be a “Roycrofter” when the art of skilled, honest craftsmanship radiated out of a small town in Western New York and captured the hearts of the world.